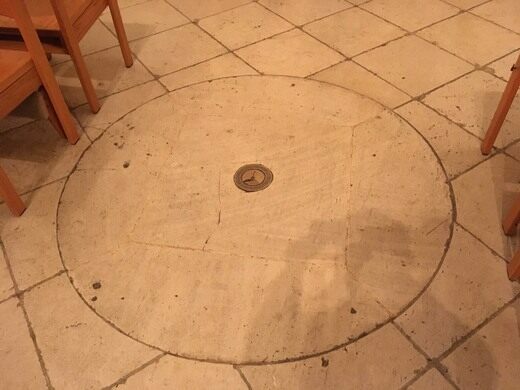 Conflicting markers on its floor tell a tale of two city centers in San Antonio. 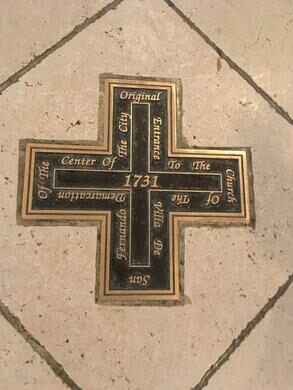 One of the oldest cathedrals in the United States has a strange bit of geographic history adorning its floor. Look down, and you’ll see two conflicting markers that tell a tale of two city centers. 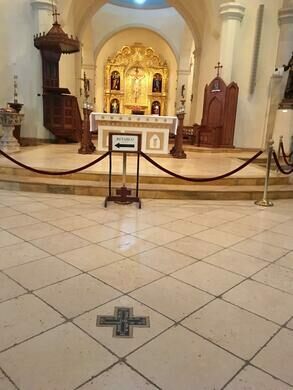 The first marker, in the shape of a cross, is located in front of the main church altar. Though it’s often mistaken as the city center, it actually marks the original site of the church’s entrance. Back in the 1700s, where the church doors stood was considered the center of town. 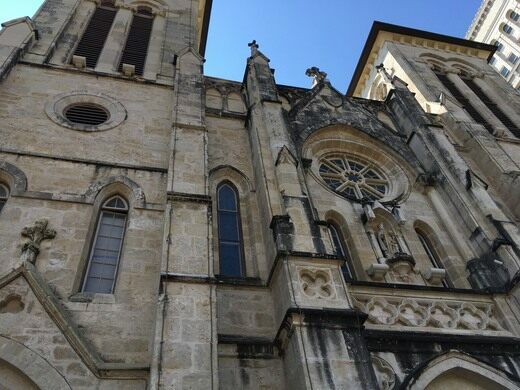 It makes sense, as the church was meant to be both San Antonio’s cultural and geographic nucleus. 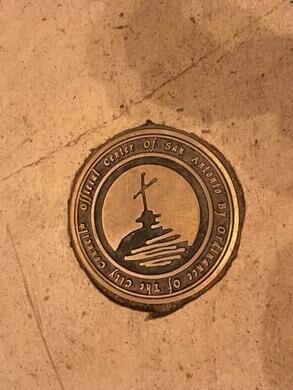 The official city center marker is located on the opposite side of the main altar, near the Retablo. 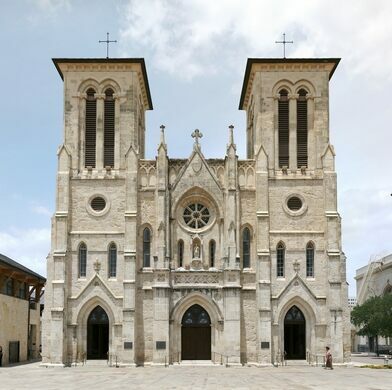 Though this one is city council-approved, San Antonio’s tendency to expand makes it difficult to permanently pinpoint its center with complete accuracy. 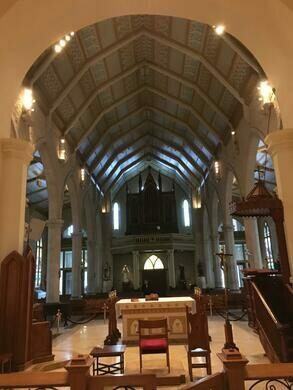 In addition to eyeing its two conflicting markers, the church is worth checking out purely for its historical significance. 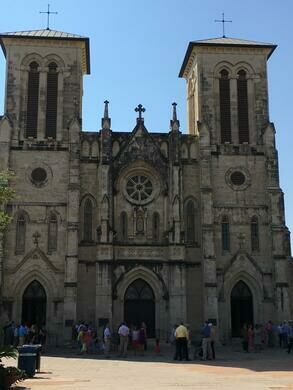 It was first built in the 1730s and is the mother church of the Archdiocese of San Antonio. 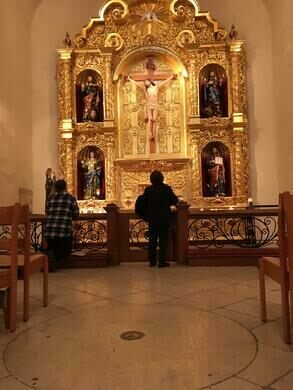 A crypt within the church supposedly houses the ashes of those who died defending the Alamo during the famous 1836 battle. Free to see. Donations are always welcome. This hidden sculpture garden full of Wild West art is one of San Antonio's best-kept secrets. Two small markers remember the Alamo's feline protectors. Some of the earliest leaders of the Moravian congregation are buried here. Though they've since been renamed, these two streets hint at Dublin's darker days.